Maternity reflexology will be charged at £20 per treatment for the recommended 2 treatments per month. It's always nice to make some changes, make things a little more fresh and new, don't you think? Caritas Clinic has been established for over 20 years. The clinic has undergone a complete redesign and has a warm, contemporary look. We hope you like it. We offer a wide range of holistic therapies and treatments including Reflexology, Sports Massage, Massage, Acupunture, Musculoskeletal Physiotherapy, Aromatherapy, Indian Head Massage, Hopi Ear Candling, Lymphatic Drainage Massage, Hypnotherapy and Counselling. 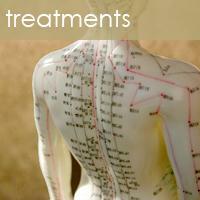 These therapies aim to support the body's own natural healing process and treat you as a whole. Our practitioners are dedicated to giving the best possible care, support and advice to every client. Also, situated within the clinic is Effortless Beauty salon. Caritas would like to welcome Hannah Weden and Debbie Wiliams to the team. If you wish to become part of the Caritas team please go to the 'Join our Team' page for more information. 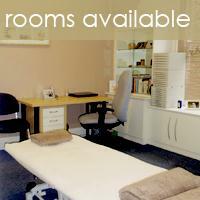 We have a beautiful new room with separate treatment areas to suit all therapies. Looking for the Caritas School of Reflexology? If you are a self employed holistic therapist and want to become part of the Caritas natural health team, we have two well equipped and beautifully designed rooms for hire.